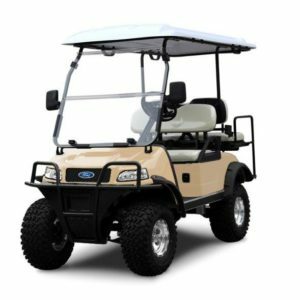 The Ford Lynx golf cart is ideal for the casual golfer looking for a no frills but robust and very functional vehicle. 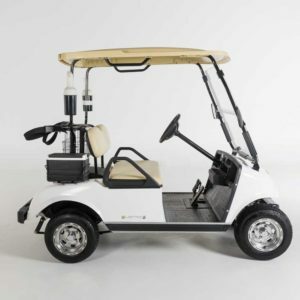 The Ford Lynx Golf Cart features a 3kw AC motor and maintenance free batteries. Other features include self-adjusting 2 wheel mechanical brakes, coil front suspension and double ended rack and pinion steering. 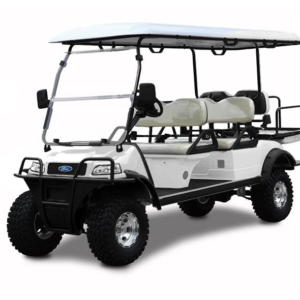 For heavier duty applications or more features please see the Ford Miami or Fleet golf cart vehicles with larger motor & optional lighting packs and heavy duty batteries.